David Vago, Ph.D., is one of the principal authors of a “Mind the Hype” article in Perspectives on Psychological Science that calls for more scientific evaluation, circumspect reporting and uniform treatment standards for mindfulness and meditation. Basically, the article raises a red flag about the media hype on mindfulness and meditation getting ahead of the scientific rigor. “This paper reflects a constructive, but critical view of the extant literature,” said Vago, director of research at the Osher Center for Integrative Medicine at Vanderbilt. “Many of the criticisms can be made for current psychological and neuroimaging methods in general. Vago is one of 15 authors of the article who are all experts in the field. They called for appropriate checks and balances to be implemented. “When you Google ‘mindfulness’ it may seem like the panacea for everything, but when you take a critical view of the research out there, a large majority of studies are under-powered to make any substantive claims regarding its effectiveness or to begin generalizing the findings to the larger population,” Vago said. He noted that there have been more than 6,000 studies published on mindfulness and/or meditation since the year 2000, but only a handful of them have used neuroimaging to document changes in the structure and function of the brain. 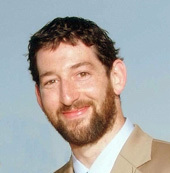 Using functional magnetic resonance imaging (fMRI), electroencephalography (EEG) and genomic and neuroendocrine science, Vago is leading the “Mapping the Meditative Mind” research initiative at the Osher Center, which seeks to more rigorously quantify what happens in the brain and body of novice and expert practitioners during different forms of meditation. Another issue with studies published to date is a lack of uniformity for delivering mindfulness and meditation as a form of treatment. There remains a lot of variability in the amount of training one receives in formal meditative practices that are part of a “mindfulness-based intervention” from teachers who often have inconsistent amounts of training or from mobile apps that have not been properly validated in research contexts. “Given current confusion surrounding ‘mindfulness,’ we urge scientists, practitioners, instructors and the public news media to move away from relying on the broad rubric of ‘mindfulness’ and toward more explicit, differentiated denotations of exactly what mental states, process and functions are being taught, practiced and investigated,” the authors wrote. The article emphasizes adopting a cautious, critical attitude toward the recent mindfulness hype, while also remaining patient as the young science of mindfulness continues to emerge and accumulate the scientific replications necessary for results to be accepted more confidently.